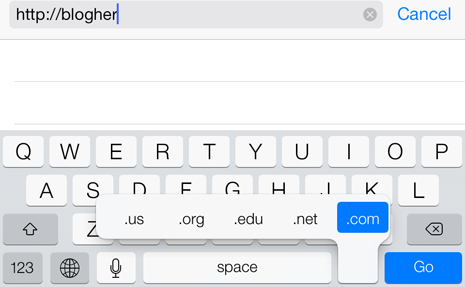 Your iPhone can do all sorts of magical things that you probably aren't aware of. 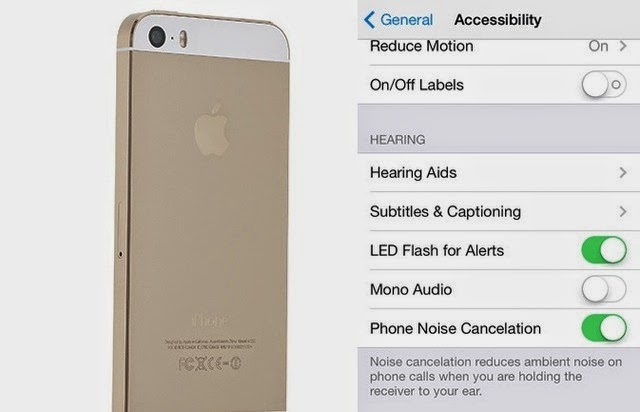 Here's a list of some of the iPhone's coolest hidden features. Make a mistake while typing or editing a picture? No worries ! 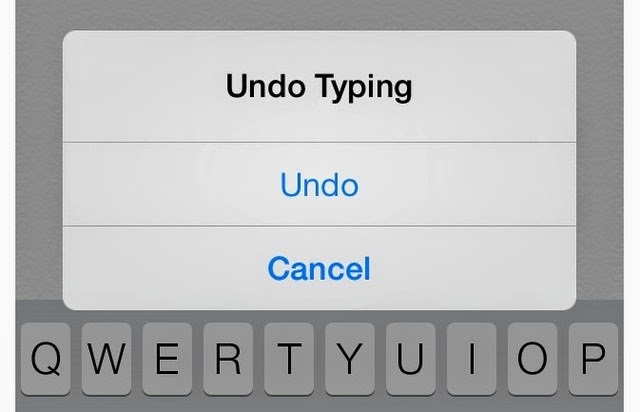 Just give your iPhone a little shake and it will ask you if you'd like to undo the action. Cheers! Switching to airplane mode turns ON - draining wireless and cellular access, allowing your phone to recharge up to twice as fast. If you like to doze off with music playing like I do, you can use the timer to automatically turn your music off so that it doesn't play all night. 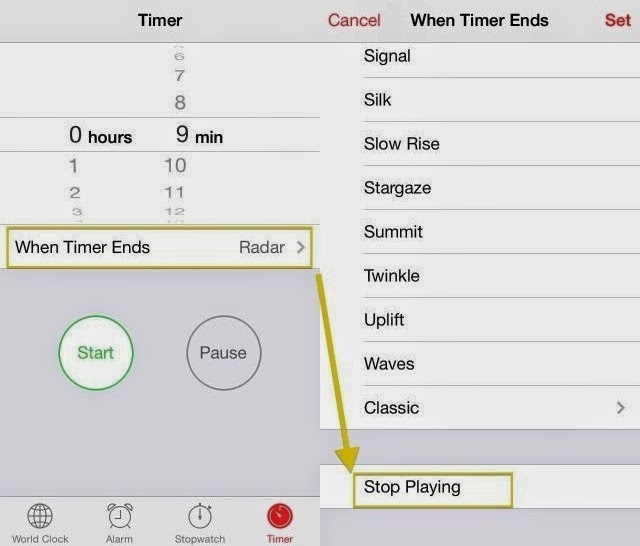 In the Timer app, select "When Timer Ends" then scroll down and select "Stop Playing". The Timer will automatically turn off your tunes after whatever length of time you set. Sometimes it's hard to snap a picture by touching the capture button - if you're wearing gloves, say - in which case, you can take the shoot by pressing either the volume up or the volume down button. Problem solved! Drag the text bubble to the left and you'll see a timestamp for every text message. Among other things, this will show you just how much time you waste on text. I like to use this one randomly just to freak people out. First you have to enable Speak Selection. To do that go to Settings > General > Accessibility > Speak Selection and turn it ON. A "Speak" button will now appear whenever you select text. Bonus: you can also choose different accents (would you prefer and Aussie iPhone?) 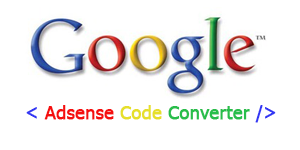 and even control the speed at which selected text is spoken. Trust me, you can waste a lot of time with this one. Whenever you're typing and you need to start a new sentence, just double-tap the spacebar and it will automatically add a period and a space for you. Say there's a certain word or phrase (or a password) that you use a lot. You can create a shortcut for it. 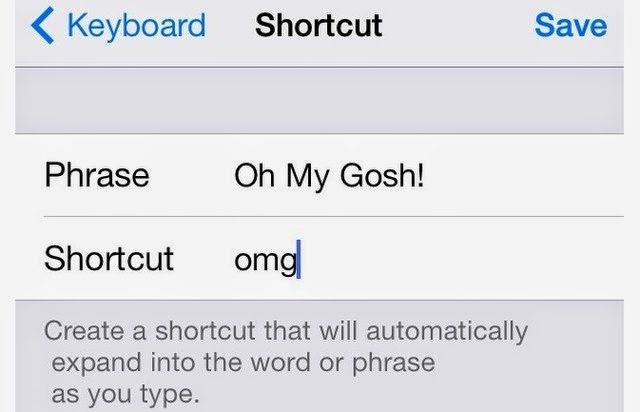 Go to Settings > General > Keyboard > Shortcuts > Add New Shortcut. Enter a word or phrase and the shortcut you'd like to use for it. Every time you type that shortcut, the whole word or phrase will magically appear. You can even create shortcuts for emoji! 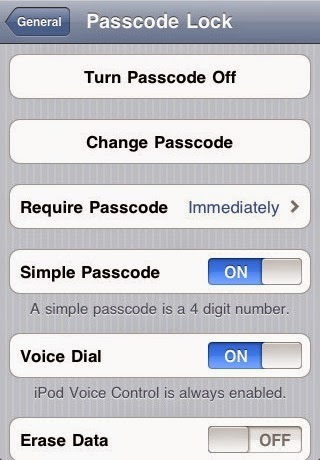 By default, your iPhone asks you to type in numbers when you create the passcode that unlocks your phone. But you can change this setting. Go to Settings > General > Passcode Lock > turn OFF "Simple Passcode". You will be prompted to change your passcode, and a full keyboard will appear onscreen instead of just the number pad. This keyboard will pop up every time you unlock your phone. 12- Set your phone to emit light flashes for alerts. 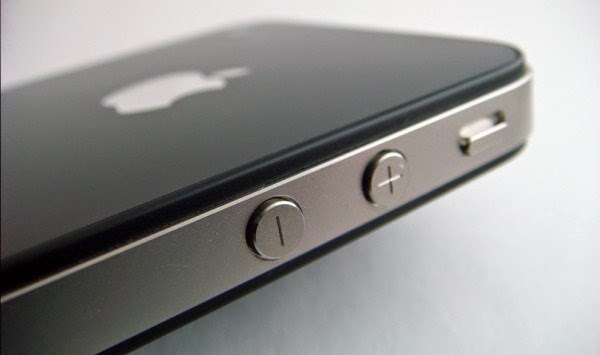 Instead of having your iPhone ring or vibrate when you get a call or a message, you can have it emit an LED flash. Go to Settings > General > Accessibility > scroll down and turn ON "LED Flash for Alerts". 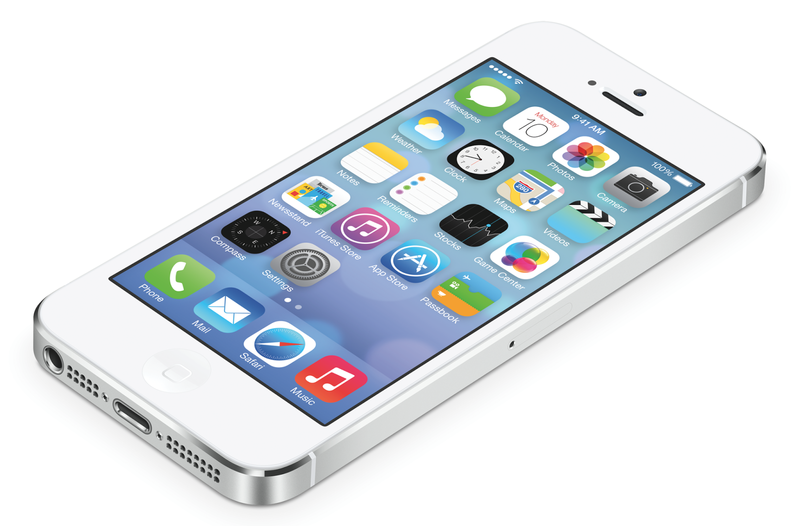 Share this contents to your friends to let them know about iPhone!